Hi my loves! I guess I’m back from never been gone and ready to share a quite ‘summery’ look with you. Although I’m obsessed with everything winter attire: big coats, wool hats , lovely knits, etc; I quite had it with this weather and I’m ready for the new season! Last Sunday, the sun came peeking out so it was time for a city terrace, wearing a vichy printed off-shoulder top and some glamorous sunnies. 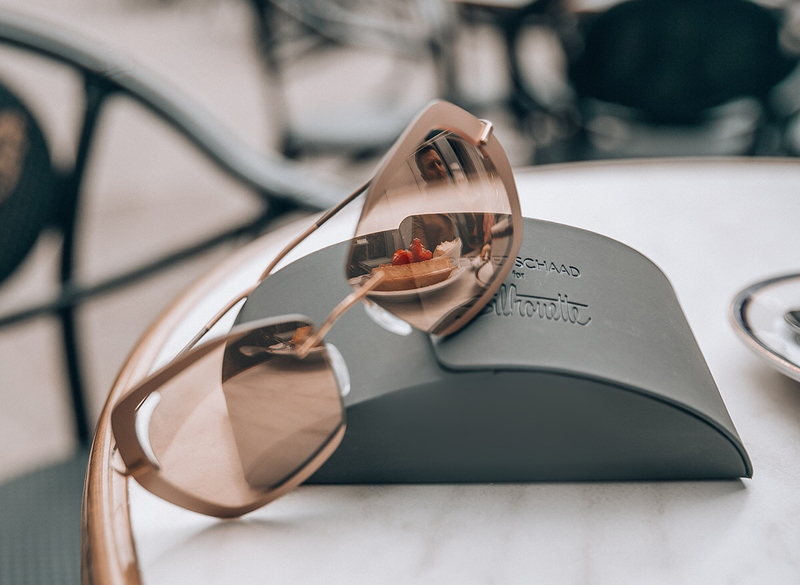 It was the first time out for my new champagne coloured Silhouette x Perret Schaad sunnies. Austrian eyewear brand Silhouette is known for its lightweight design and quality production process. The lightweight aspect is something that I truly adore as I tend to get marks on my nose so easily after wearing my glasses for a few hours. Silhouette often works with famous architects and designers for their creations (think Stokke, Akris,..) and this time it was the turn of design label Perret Schaad. 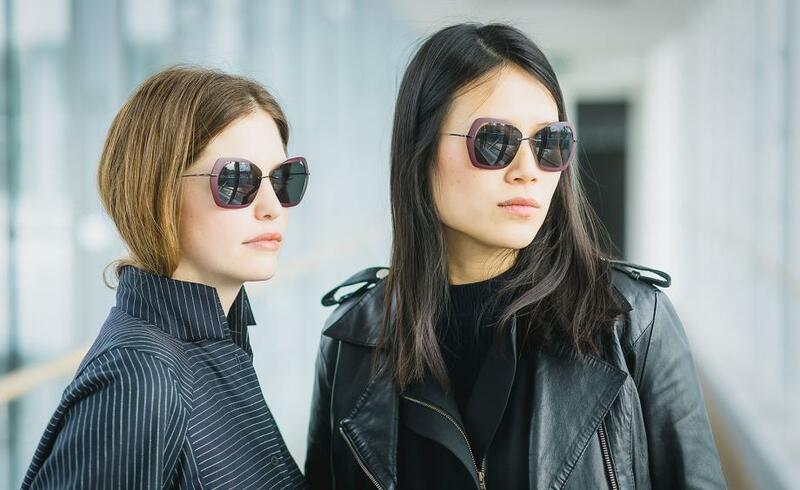 Design duo Johanna Perret and Tutia Schaad wanted to create an extraordinary piece of eyewear and that’s what they did! The collection comes in 4 different frame and colour options and I went for a pair of gold with caramel coloured ones, so easy to match my entire wardrobe! And want to know the good part? 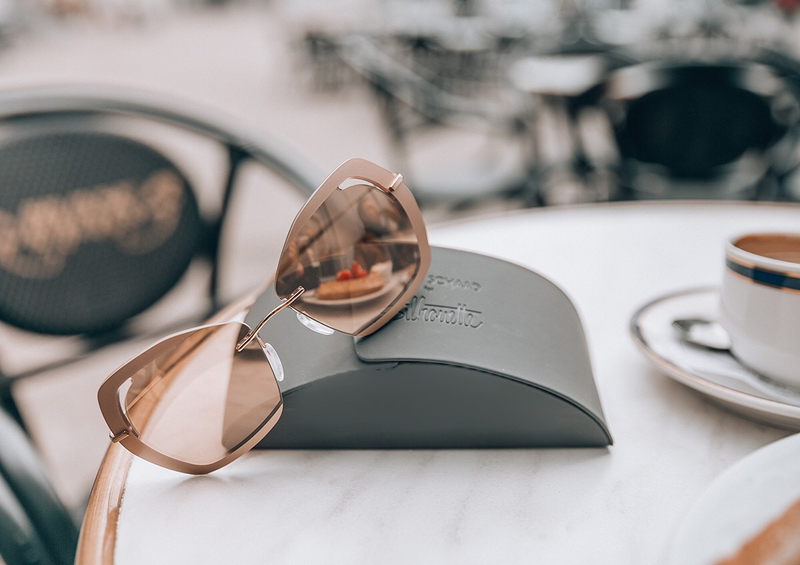 I’m giving away 2 of these exact same Silhouette x Perret Schaad sunglasses (retail price €269) away on my instagram profile today here! Just follow the instructions below my picture and good luck!! Post made in collaboration with Silhouette.